Encouraging our students to become global citizens. Mobile unit services solve the disparity of the dentist population ratio between urban and rural areas. Most promising way of oral health care delivery for villages in UP having a vast underserved population. Providing medical/dental/physiotherapy services to the unreached. Activities plays an educational role in raising awareness among the community. Institution has 2 state of art mobile dental units which caters to extensive rural, peri-urban and urban population. Institution has adopted a village to render preventive and curative services for all residents. To promote better oral health for community at large. Institution visions in giving affordable, accessible, and sustainable oral health care. Awareness and adequate arousal on health and hygiene, sanitation, socio cultural factors, quitting ill habits detrimental to health. Most effective health intervention to reduce the impact of tobacco related mortality and morbidity. UP being the “Gutka Belt” needs reinceforcement/councelling among patients to quit the dreadful habit – making TCC an absolute necessity. 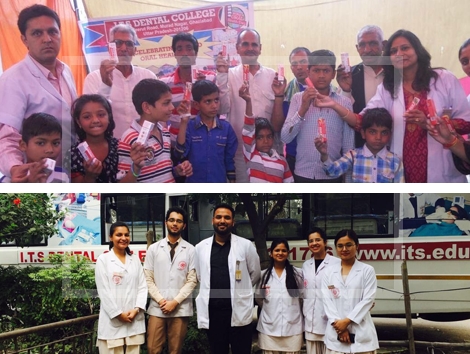 I.T.S Dental College proudly runs 7 satellite centers to cater the dental needs of the population. The concept is to bring health services near to their living area to encourage and motivate for regular health check ups. 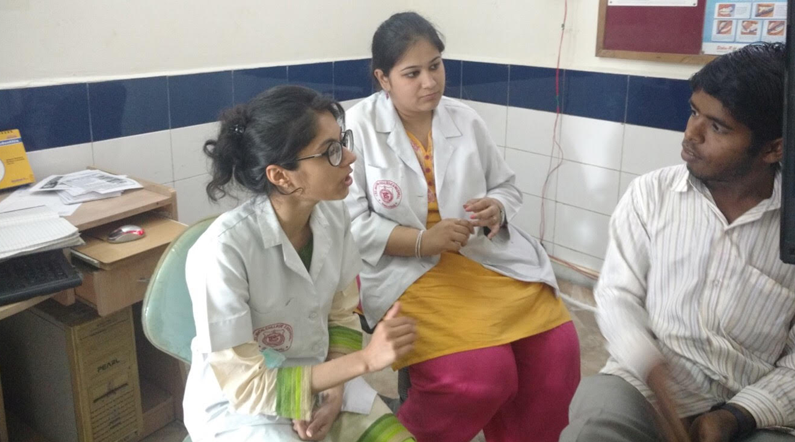 Clinical role of health providers is diverse in care giving, thereby plays a major role in the promotion of healthy behavior to prevent disease and improving patient's quality of life. Institution provides a counseling center to each and every patient to feel free to discuss their oral problems. Accurate guidance and advice is being provided by senior skilled doctors. Institution celebrates all important public health days to raise and create awareness among general population. Students come forward and join hands to spread and educate about health day importance by performing skits, nukkad natak, role plays making it a fun way of learning.